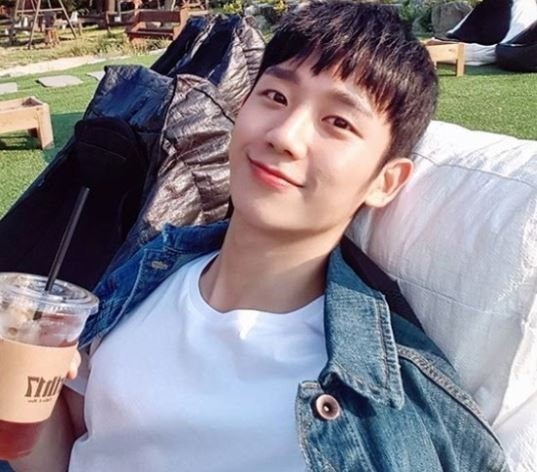 Jung Hae-in, who has recently starred in JTBC’s hit series “Something in the Rain,” is considering a role in a new romance flick. Jung’s agency FNC Entertainment said Monday that the actor has been cast in the leading role of “Music Album,” (working title) the upcoming film of director Jung Ji-woo. Jung is positively considering the role, it added. “Music Album” will tell the story of two young people who fall in love while sharing their stories through a radio program during the IMF crisis in 1997. The film will begin shooting in the second half of this year. Actress Kim Go-eun is also reportedly considering her appearance in the film after being offered the role earlier this month. She already worked with the director when she shot “Eungyo,” through which she shot to stardom, in 2012. Having recently finished shooting “Something in the Rain,” Jung flew to Japan with the drama staff and co-stars for a reward vacation.